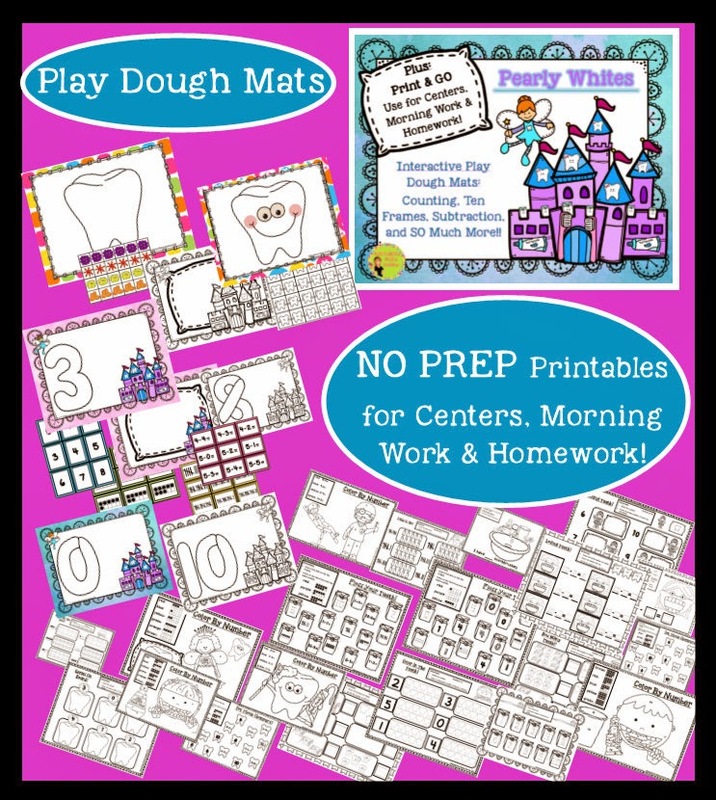 Today, I wanted to share my newest play dough pack. 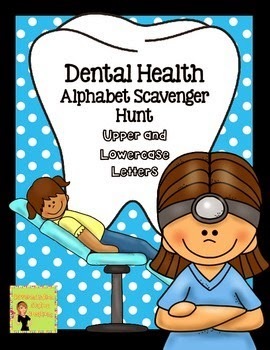 It may be my favorite yet! 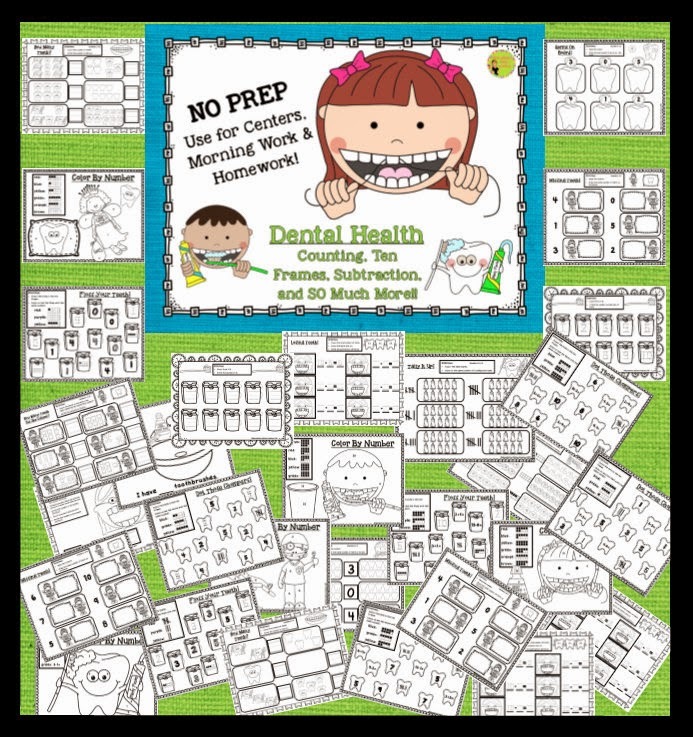 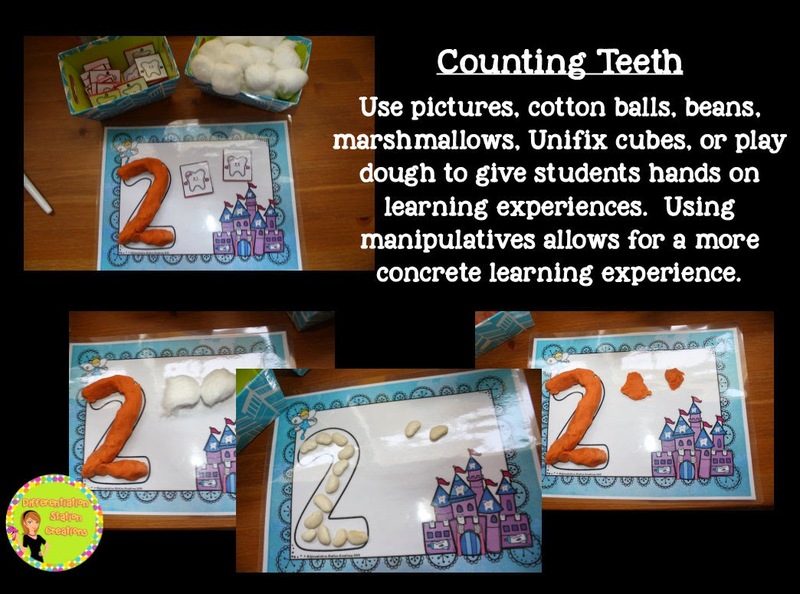 There are so many ways to use teeth, toothbrushes, and tongs to bring math concepts to life. 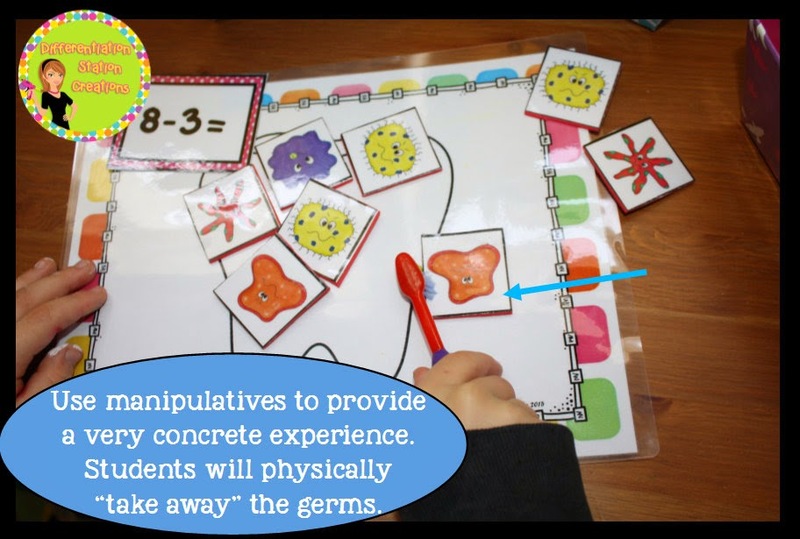 Use manipulatives to represent different math concepts. 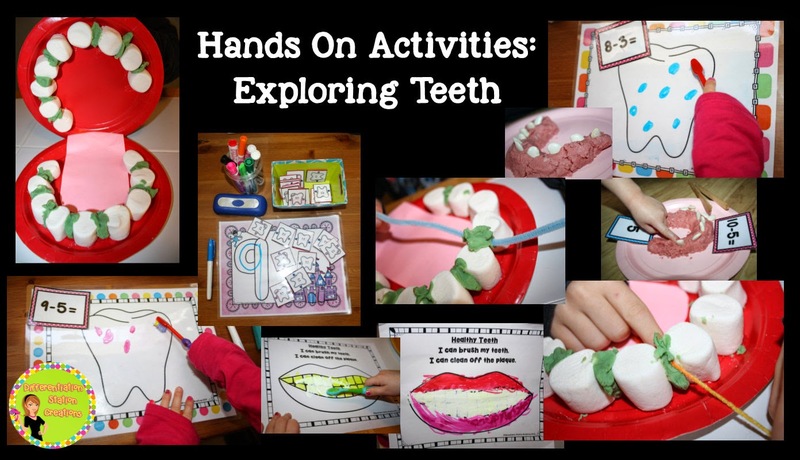 Here are a few of the different manipulatives that we used to represent teeth. 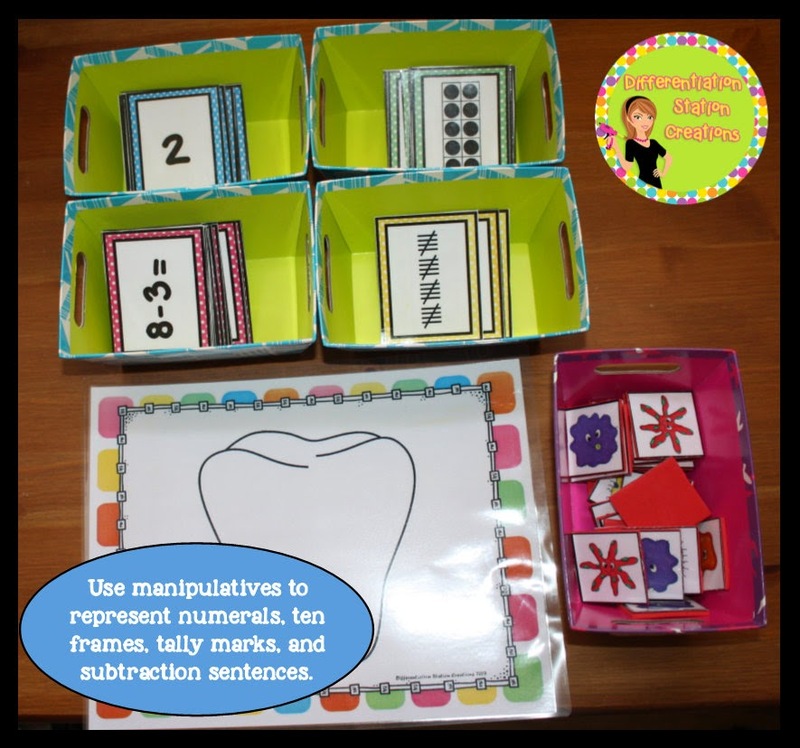 and to represent a subtraction equation. 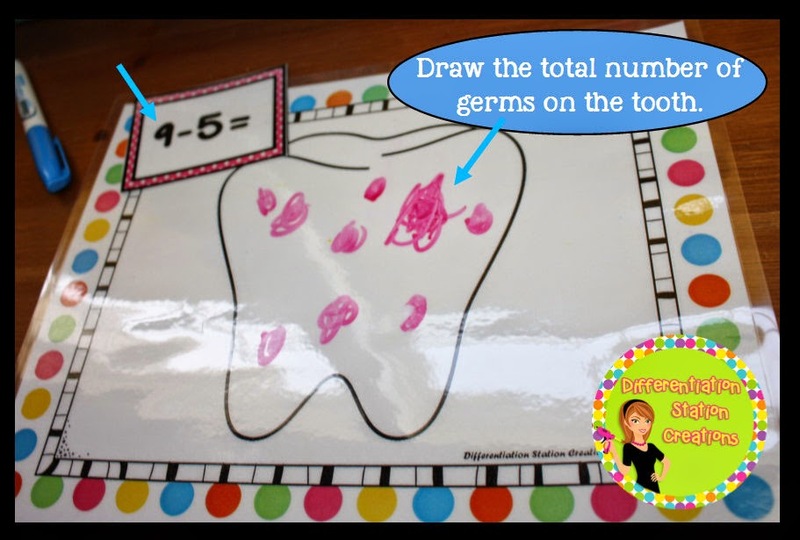 You can also use a dry erase marker to draw the total number of germs on the tooth. 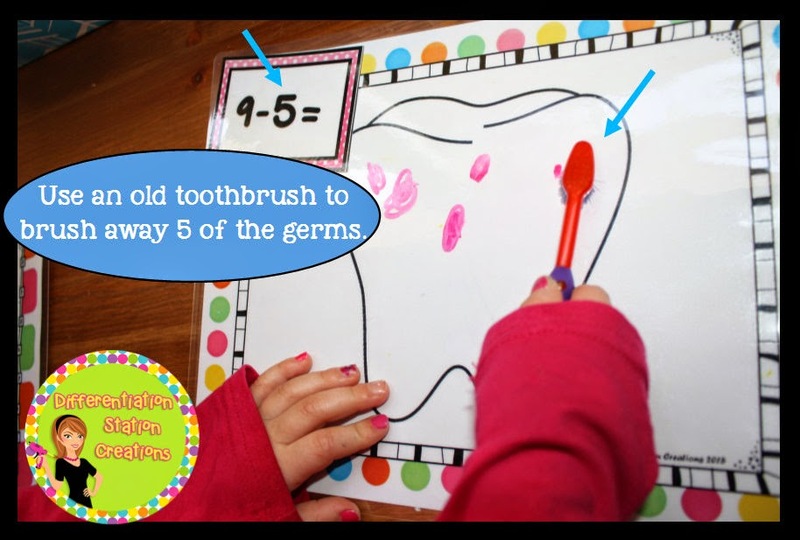 Students will then use an old toothbrush to “brush away” the germs. 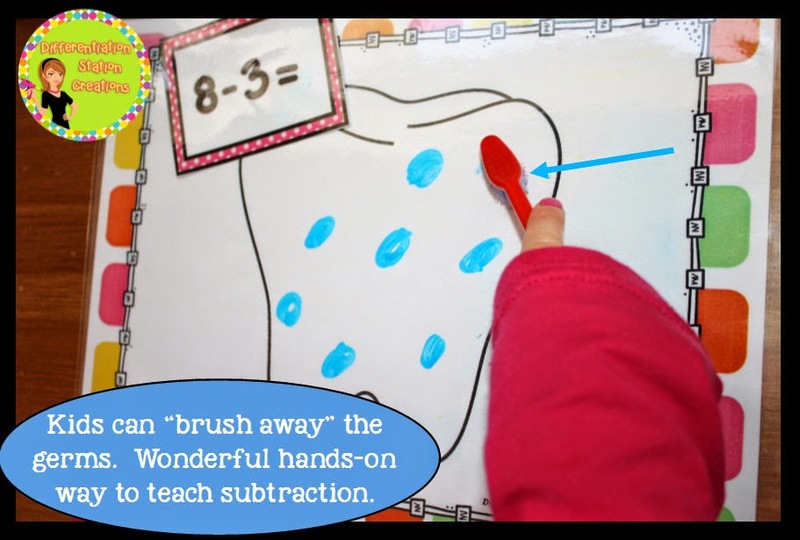 It is a great way to visually and physically demonstrate subtraction. 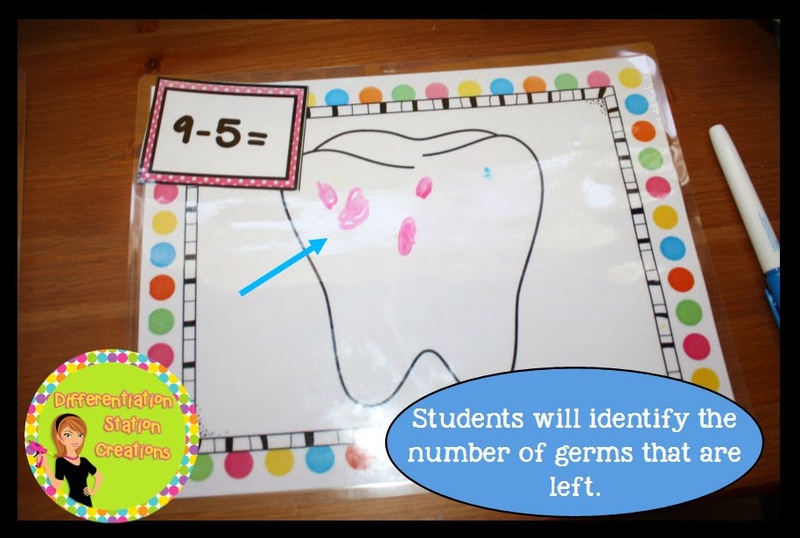 Students will then identify the number of germs that are left on the tooth. 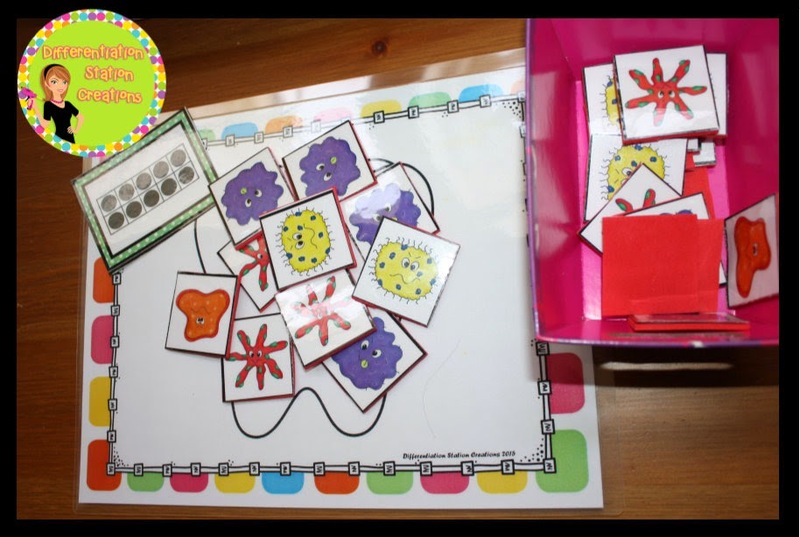 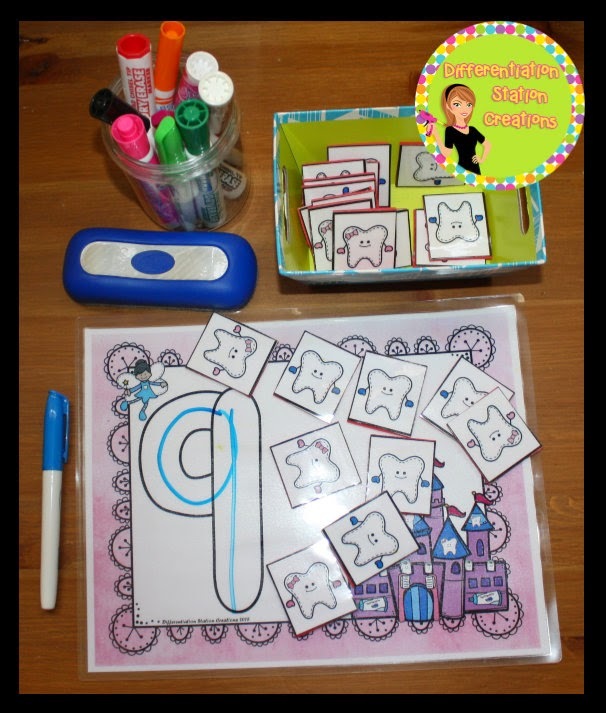 Students can also use the mats to demonstrate one-to-one correspondence. 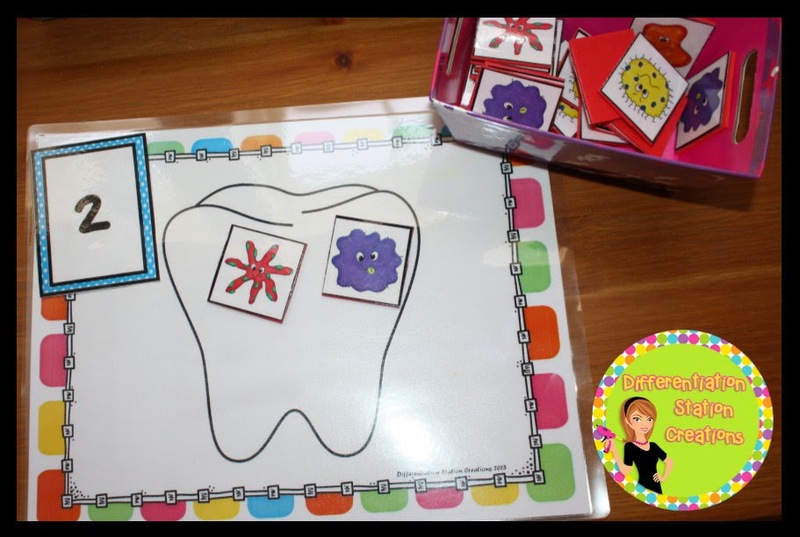 You can check out my dental health packs here.